Sporadic Sentinel: San Francisco Giants: No Complaints Here! 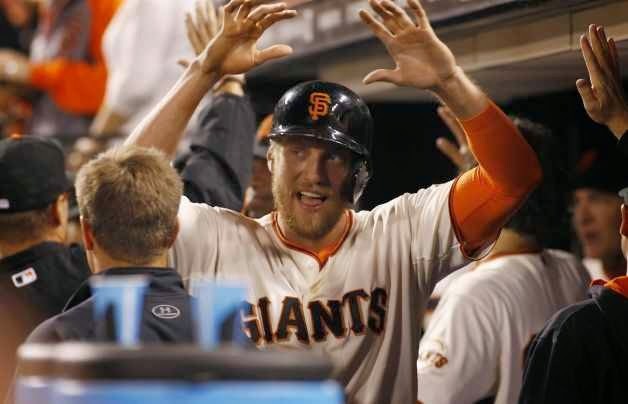 San Francisco Giants: No Complaints Here! The starting first baseman is out for six weeks with a broken wrist, the 100-million dollar starting pitcher has one win, the little pitcher that everyone wants to succeed looked both great and terrible in a span of five days and yet the San Francisco Giants are in first place by three games. Morse hit ball far. Arrgh! How can I complain about anything? The Giants are in first place and the Los Angeles Dodgers are scuffling. I almost don't even want to mention this because it's May. There are four months to go in the season, and so many things are going to happen between now and the end of September that we all have no idea are going to happen. A three game lead in mid-May can easily become a 15-game deficit by the end of the year. How can I complain when the Giants played 17 games in a row, their largest stretch of the season, and went 11-6? The last time we checked on our heroes they had just gone one-and-two in Pittsburgh, for goodness sake, and were headed to Dodger Stadium for an important four games, where they somehow went 3-1, and then back for seven at Phone Company Park, 2-1 versus the Atlanta Braves and a split with a feisty Miami Marlins team that has won 14 of their last 17 games in San Francisco, a feat which seems pretty incredible on the surface. Why would a team based in Florida have more success in San Francisco then, say, the Dodgers, or even the Padres? The truth of the matter is that it doesn't matter what the name on the jersey says. Most players on any team don't live in their designated “home team” city year-round. Chances are they have a condo or an apartment there, and spend approximately 81 nights a year there, (that's how many home games a major league baseball team has per season. ), although including off days and such, let's be generous and say 100 nights. That's little more than one-third of the year. For 70 days they're on the road (teams will fly back “home” immediately following their final road game trip), and then it's the off-season. Thus, while the Marlins have the best “road team” record in San Francisco over the past 17 games, it's really a crapshoot. There aren't really “home” teams anymore, just like college football teams aren't built with home-state players any more. As soon as teams realized they could bring in players from outside the area to win more games than they would otherwise, the concept of true home teams disappeared. Speaking of disappearing, what happened to the good Tim Lincecum? Two gems against the Braves, one in Atlanta and one in SF, and then against those Marlins he looks uncomfortable from the get go- of course the whole team had to have been shaking their head over another curious replay that went against them. After Timmy gave up a run in the top of the second, it looked like Brandon Hicks doubled to put men on second and third with one out. The Marlins appealed, saying he missed first base, but the umpire ruled Hicks safe. Then the Marlins appealed via replay, and Hicks flat missed the bag because he was looking at the ball and turned just a little too wide. That, while unfortunate, just made up for Thursday night, the first game of the series, when Hunter Pence hit a ground ball that bounced up and hit him in fair territory while he was running to first, which is an automatic out. However the home plate umpire, behind Pence, ruled that the ball didn't hit him, which doesn't make a whole lot of sense. Looking at the trajectory of the ball in the replay, it seems fairly obvious when it skips down the line and then takes a pretty sharp right turn at Pence's foot. But because the man in blue could not see the ball actually hit Pence- he was behind him- he ruled it a foul ball and Pence returned to the plate, and the Giants scored three runs in the inning to take the lead for good, including one by Pence himself. "I won't tell if you don't!" The Marlins could not challenge the call because it's not a reviewable play. Why, I'm not sure. The most likely explanation is that nobody thought that would come up. Which also doesn't make sense. When determining what would be reviewable, you would have thought that a group of people would have gone through the rulebook and said “oh, here's a way a guy could be called out that isn't a judgement call (like balls and strikes), so that should be reviewable.” Nope. It's clearly not a judgement call (you know, like a guy missing first base isn't a judgement call), so it should be reviewable. The biggest thing that surprises me about this is that MLB Rules Czar Joe Torre hasn't yet issued a declaration making this play reviewable. Maybe the “transfer rule” declaration was a clarification, and actual replay-rule changes will only come in the off-season? Or maybe Torre was begging Tony LaRussa to not take the Arizona Diamondbacks job so he hasn't gotten around to changing this yet? Clearly, this needs to be a reviewable play. But this is not the only issue that replay people have had. Remember when NFL referees couldn't review whether field goals were good or not? The prevailing wisdom when there was an actual field goal that determined a game was questionable was “why the hell is this not reviewable?” and the first rule change that off-season was “all scoring plays are automatically reviewable.” That's field goals, safeties, touchdowns... everything. There's no reason in baseball that all non-judgement potential out calls should be reviewable. That's whether a batted ball hits a runner (which is an out), but baseline calls and so on. 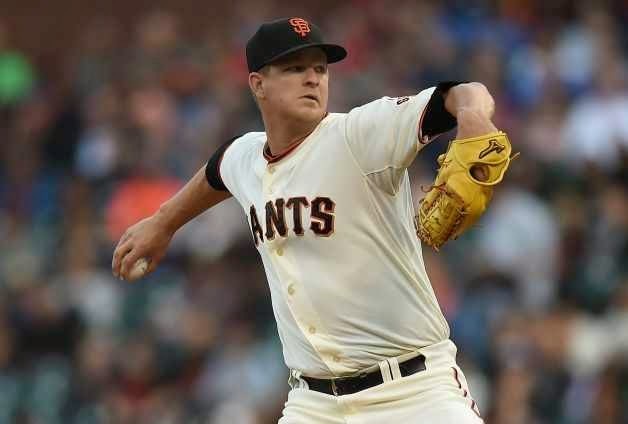 Again, I shouldn't be complaining too much, it worked in the Giants favor- and because of it that Matt Cain got his first win of the season, so at least I don't have to wonder when that's going to happen anymore. What's also worked in the Giants favor, oddly, is Brandon Belt getting his thumb broken by a pitched ball and being out for six weeks. The one scenario I didn't see was what happened- they moved Mike Morse to first base put the Triple-A guy they called up, Tyler Colvin, in left field. Morse has continued to mash the ball and Colvin has gotten some pretty nifty key hits in his first week back in the majors (he also played for the Cubs and Rockies). But this may mean a bit of an issue when Belt does return around the first of July- with Morse at first, it means that manager Bruce Bochy doesn't have to lift the not-that-speedy Morse in the late innings for a defensive replacement left and lose his bat. He just lets him stay at first the whole game. 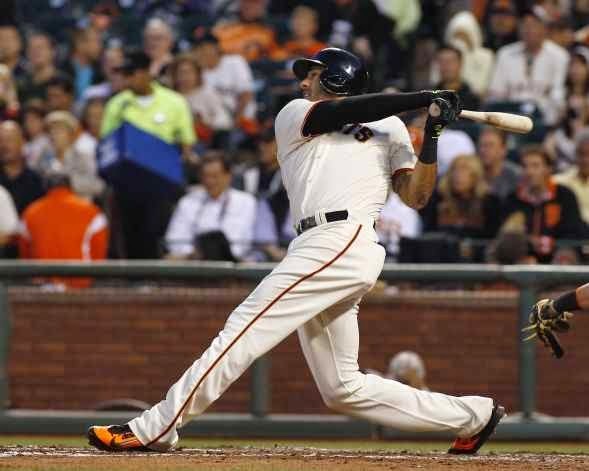 Morse, who was signed as a free agent in the off-season in the hope that he could hit the ball even a little bit (again, Giants left-fielders hit only five home runs last season. Before moving to first, Morse had nine), has shown that he needs to be in the lineup as much as possible. What to do when Belt comes back is a good problem to have. Nobody's brought it up much, but it seems pretty obvious that Bochy needs to leave Morse at first and put Belt in left field, where he's played long stretches before. But before that, three in Colorado against the second-place Rockies beginning Tuesday night. The Rockies issue is pitching, as always, but that is not a problem in their home ballpark. Should SF even take two of three, they'll be four games up on Colorado. Then after three in Denver (an MLB network anchor the other day said, “let's head out to the west coast” and proceeded to do highlights of a Rockies game in Denver. Uh, dude? You just insulted everyone in Colorado and on the west coast. 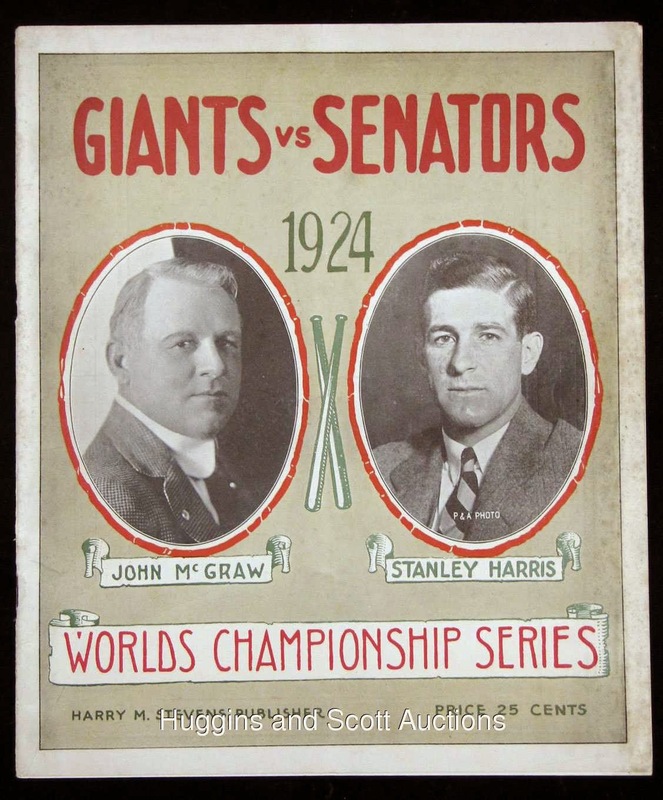 East coast bias, it's alive and well), it's back to the bay for more interleague, this time against the Twins, who the Giants have never played in the World Series- unless you count when the Twins were the Washington Senators and the Giants were in New York and it was 1924. 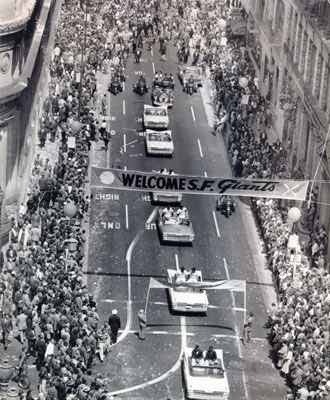 However, the Giants do have plenty of Minnesota history- their Triple-A team was based there for many years, (Willie Mays tore up the American Association for the Millers in early 1951 before getting called up to the bigs) and when the Giants were absolutely already going to move from New York in the late 1950's, Minneapolis was on their short list because of this. The Giants owner at the time, Horace Stoneham, nearly pulled the trigger on the deal before Dodgers owner Walter O'Malley heard about it and said to him “Look, we're moving to LA, why don't you move to SF and we'll continue this rivalry on the west coast?” and that's how it happened. Since the Senators were the next team to move and they went to Minneapolis, it's possible that if the Giants had gone to the Land of 10,000 Lakes, the Senators might have ended up in San Francisco. So that's how the Giants are in first place in the NL West instead of the NL Central, Mike Morse is playing first base, and Matt Cain has a win. Again, how can I complain about anything? I'm glad it worked out the way it did.